Current Challenge April/May 2015 Hosted by Bangers & Mash. Family Foodies is a monthly family food recipe sharing challenge organised by Lou from Eat Your Veg, and I’m very excited that she has asked me to co-host with her. Each month we’ll pick a new family-centered theme and invite bloggers from across the blogosphere to submit their recipes. As anyone who regularly cooks for kids and families well knows, meals and menus can sometimes grow a little repetitive and mundane and it’s wonderful to be able to pull together and share our favourites, inspirations and ideas. To take part all you need to do is blog a family-friendly post or recipe which fits that month’s theme and link it up to the challenge. Each month a guest judge will pick out a winner and some months they’ll even be a prize – yeah! Winners will get to place an annotated Family Foodie Winner’s badge on their blog. Please don’t feel excluded from entering if you don’t have kids. This is open to absolutely anyone who cooks and blogs about food that children (of any age) or a family may enjoy! So please do join in – it’s lots of fun and a fab way to share ideas and meet fellow family foodies! You may submit any recipe (past or current) that fits the current theme, but please only a maximum of three entries per blog. You’re also welcome to submit the recipe to other challenges too. If the recipe is not your own, please give the appropriate credit. Post your recipe URL to the Linky at the bottom of the challenge if it’s Lou’s turn to host on Eat Your Veg, including your email address and the title of the recipe. You’ll also be asked to select a picture. If it’s my turn on Bangers & Mash, you’ll need to email me details of your post and I’ll manually add it to the list. 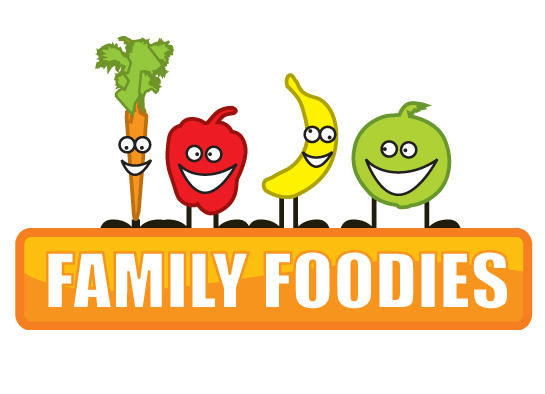 Display the Family Foodies badge on the recipe post, with a link back to Eat Your Veg and Bangers & Mash, and details of the current monthly challenge you’re entering. If you’re on Twitter then please tweet your post to Lou @Eat_Your_Veg and me @BangerMashChat and include the hashtag #FamilyFoodies. We’ll retweet all that we see. At the end of the month a guest judge will choose a winning recipe and any prizes sent out. The winner will be announced in a monthly round-up of all the entries. Winners will get to display a Family Foodie Winner annotated badge on their blog if they wish and their recipe will go through to the Winner’s Gallery at the bottom of this page.